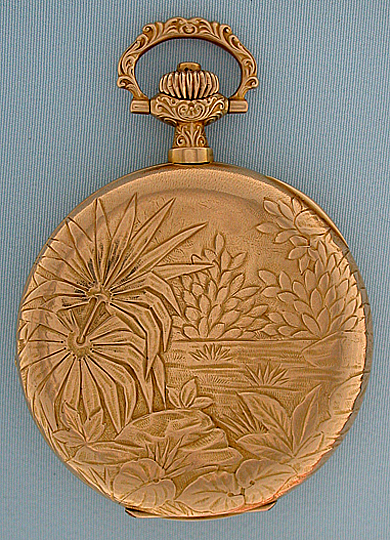 Fine and lovely Swiss Art Nouveau 14K gold hunting case antique pocket watch by Borel Fils & Cie, circa 1900. 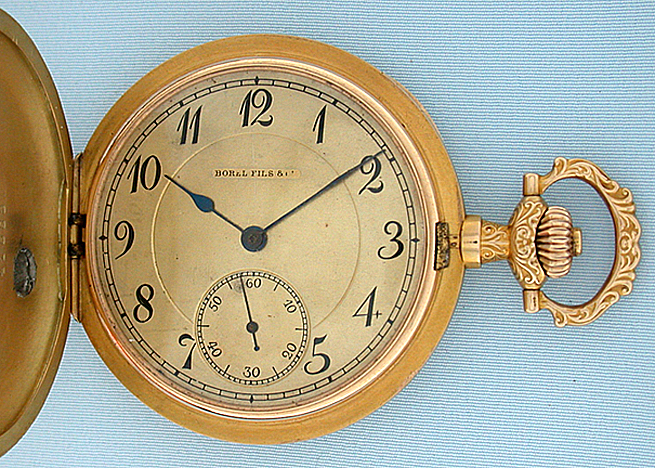 The gold dial with a minor scratch and attractive signs of age. 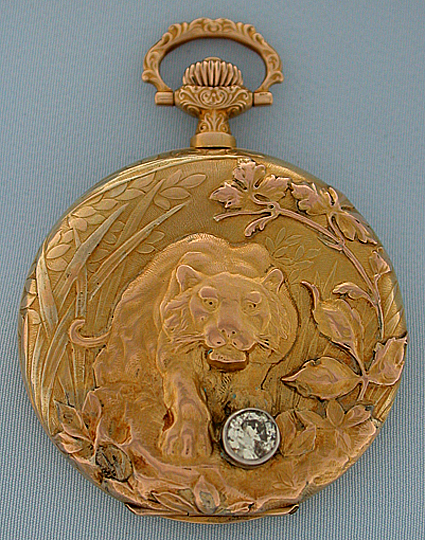 Only slight wear to the high points of the handsome substantial cast case with a lion amidst foliage set with a large diamond. Fancy pendant and bow. 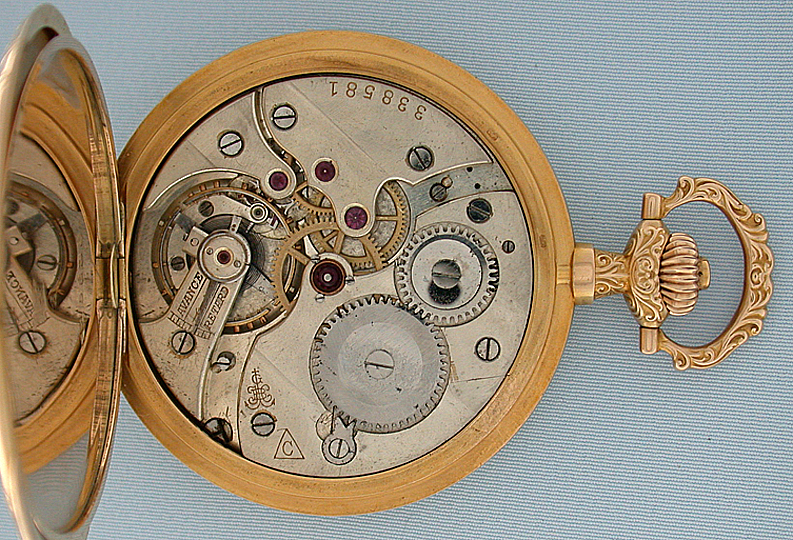 Nickel 17 jewel lever movement. A very good example of Art Nouveau casemaking.